This Lot Has Been Viewed 1438 Times. 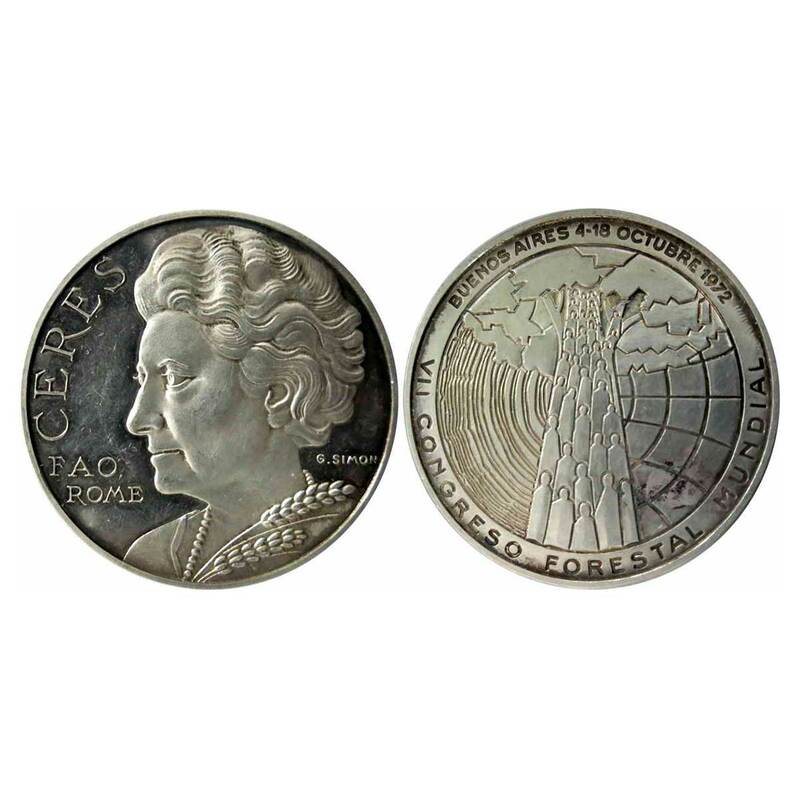 Indira Gandhi Medal, Silver, 62.54 g, bust of Indira Gandhi with CERES FAO ROME on obv; VII Congress Forestal Mundial and date 4-18 October 1972 on rev. Minted by the Mayer’s Mint of Germany. Limited Edition of 9999 pieces with numbered 4508, engraved on the edge. Almost UNC, Scarce.